Mamata Banerjee's mega rally in Kolkata saw the attendance of Samajwadi Party chief Akhilesh Yadav, Andhra Pradesh Chief Minister Chandrababu Naidu, Karnataka Chief Minister HD Kumaraswamy, Delhi Chief Minister Arvind Kejriwal, former prime minister HD Devegowda, National Conference chief Farooq Abdullah, Shatrughan Sinha. 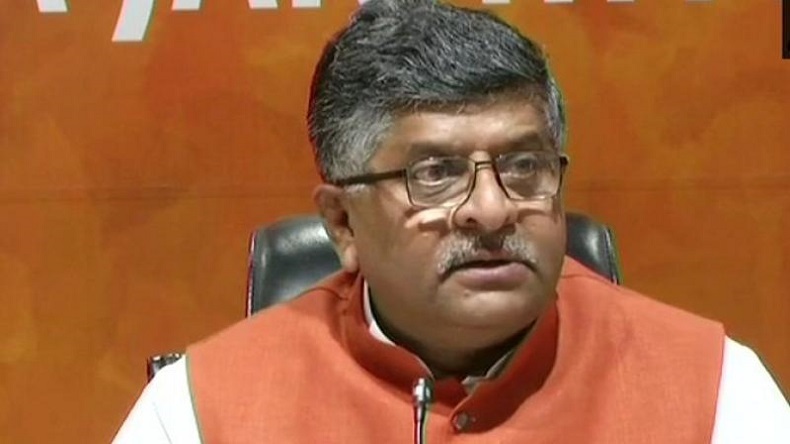 In the BJP’s first response to ‘United India’ rally called by West Bengal Chief Minister Mamata Banerjee in Kolkata, Union Minister and party’s senior leader Ravi Shankar Prasad urged Opposition to declare its leader for 2019 Lok Sabha polls. Prasad, who holds Law and Justice and Electronics and Information portfolio in the Narendra Modi government at the Centre, said all regional parties were trying to stitch an alliance as all have ambition for Prime Minister post. From Congress president Rahul Gandhi to BSP chief Mayawati, TMC president Mamata Banerjee to TDP supremo Chandrababu Naidu, everybody wants to be prime minister, Prasad said. Taking a dig at Opposition, the Union minister said Prime Minister will be elected by the people of India but Opposition has no face to be elected in 2019 Lok Sabha elections. In a conversation with the news agency, Prasad said those who couldn’t see into each other’s eyes are now talking about mahagathbandhan for 2019 polls. He further added that opposition leaders don’t have any roadmap for the development of India, but their only agenda is to unseat PM Modi. Earlier in the day, Prime Minister took a dig at opposition parties and said they are coming together as he had stopped them from looting people’s money. He said his policy of zero tolerance against corruption has infuriated some people. Mamata Banerjee’s mega rally in Kolkata saw the attendance of Samajwadi Party chief Akhilesh Yadav, Andhra Pradesh Chief Minister Chandrababu Naidu, Karnataka Chief Minister HD Kumaraswamy, Delhi Chief Minister Arvind Kejriwal, former prime minister HD Devegowda, National Conference chief Farooq Abdullah, Shatrughan Sinha.